Years ago, when I wrote my first few running form analysis blog posts of elite runners, I was careful to make a few clarifications about the whole undertaking. Over the years I remembered to do this less often, thinking my readers were already familiar with my work and didn’t need the explanations. That, happily, is not true. What qualifications do you have to be doing these analyses? My main qualification comes from outside the athletic world. I’m a certified Feldenkrais Practitioner, which means I have 3 1/2 years of training in motor learning and human movement. As a Feldenkrais Practitioner, I’ve worked for 15 years with runners ranging from beginner to Olympian. This has given me a wealth of clinical experience to draw on. Elite runners I’ve had the privilege of helping include three-time Olympian Jen Rhines and multiple-record-setting ultramarathoner William Sichel. If you’re looking for a biomechanics or sports science degree, you won’t find it here. If you’re looking for someone trained in visual movement analysis, gait as an element of human movement, and effective neuroplastic therapy methods, you will find that here. This is why my analyses are so different from analyses performed by those trained in biomechanics and sports science. How can you claim that a runner would perform better if they changed their gait when there are plenty of elite runners performing as well or better with worse form? Historically it’s been very difficult to determine what really is good running form because running performance is a result of so many factors and and runners vary so much in their gait. Comparing runners to each other generates more confusion than clarity. So naturally there’s a lot of skepticism about claims that a particular form change would improve performance. My professional training has given me a way out of this conundrum. Using the Feldenkrais Method as a tool, I’ve been able to help runners learn to sense excess effort in their bodies and find ways to reduce it. Thus I’ve been able to compare runners to themselves—comparing their performance, effort, and pain levels before and after making changes in their form. While my Feldenkrais training gave me the basic principles of human movement, what I know about running form specifically I learned from going through this process with over 1000 runners. So when I say I believe a runner would feel better and run better if something about their form were different, it’s based on a solid foundation of training and clinical experience. But there’s no research supporting this. Believe me, I find that as frustrating as you do and I’m working on changing that. 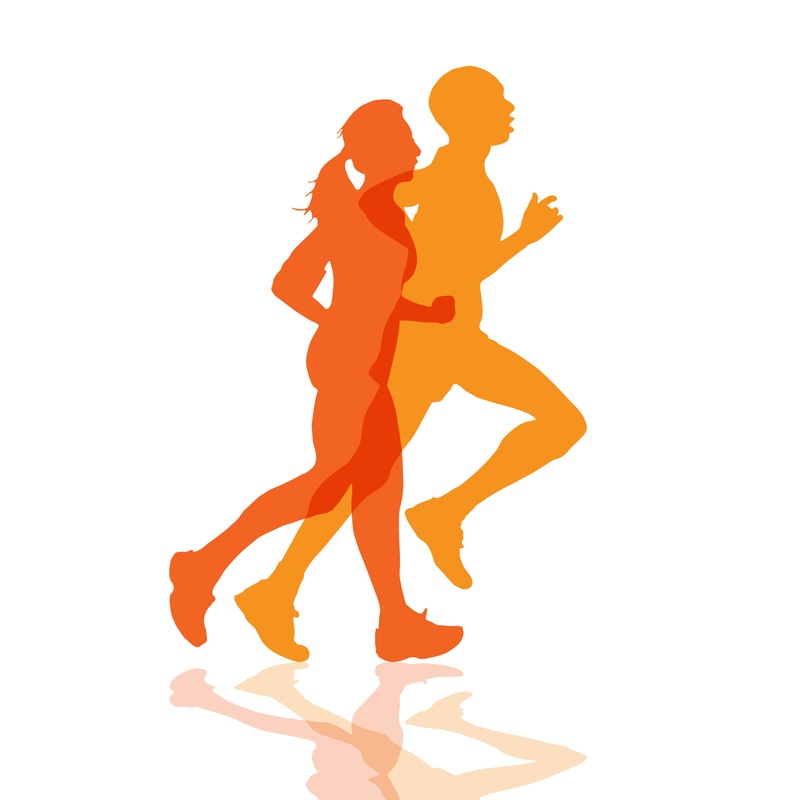 The thing about research on running form is that without a tool such as the Feldenkrais Method to help runners safely make changes by decreasing rather than increasing their muscular effort, studies that ask runners to intentionally run differently usually show that performance is impaired as a result—no matter what the changes are. The only alternative is to compare runners to each other, which is difficult since there are so many variables to control for. At the end of the day, no matter how much you care about an evidence-based approach to running, coaching, and training, and no matter how much time you spend informing yourself and keeping up to date with the latest research, some portion of what you do will still be informed by personal and professional experience, guesswork and experimentation. Research is important, but it’s just one source of information, with limits to its scope–particularly as concerns running form. I hope what I write will be useful to you when you find yourself dealing with questions research currently provides no answers for. Meanwhile, if you’re interested in research involving the Feldenkrais Method (albeit not with runners) you’ll find a research bibliography here. Won’t runners who try to do what you say just end up injured? Trying to force a new style of running can indeed be perilous. There’s a very good reason each runner runs the way they do, guided by the best information their nervous system has about how to keep them safe while achieving their desires. This doesn’t happen in a vacuum. The unconscious movement habits runners bring into their running from their daily life, developed over the course of their entire life to date, are the source of their running form. Giving a runner a form cue is asking them to add the cued movement on top of (as it were) their unconscious movement habits. It’s effortful, awkward, difficult to coordinate, and impossible to integrate with their movement habits. It’s unsurprising that impaired performance and even injury can result. That’s why I do not recommend a runner go out and try to do what I describe. However there are two good, safe ways to use the information I provide. The first is to give runners permission to stop trying not to do the things I talk about. Frankly, many of my running form recommendations are counter to the popular wisdom, and many runners have been trying to do the opposite of them for years. For instance, many runners try to pull their shoulders back and inhibit the movement of the pelvis. Simply feeling permitted to stop doing these things and allow their bodies to move more spontaneously really helps a lot of runners. I get a surprising number of emails from people who’ve simply read my blog posts, started allowing their pelvis to move instead of trying to hold it still, and had their knee pain go away. The other good way to use what I describe is as a more accurate image of how running works. Every runner has an image of what running is. Many of those images come from the press and may be informed by the kinds of running form advice articles that appear regularly in Runners’ World, Competitor, etc. So that’s what they they’re trying to achieve when they lace up their shoes, even if it’s not intentional. That’s why I’ve worked very hard to create what my training and experience demonstrate to me is a more accurate, healthy, and effective model. Simply changing your idea of the activity you’re trying to do, without trying to force any individual aspect of it, can make a real difference for runners. In the end, I want us all to be working with a more accurate image of what running is. If you are a Feldenkrais Practitioner or related professional working with runners, then you can use that methodolgy to help runners make the changes in their underlying movement habits that I talk about in my blog posts. But otherwise you shouldn’t try to touch that level of a runner’s technique, as you risk doing harm. Isn’t it very inaccurate to use TV footage of runners to analyse their form? Yes. Honestly I find video very difficult to work with, though in the opposite way you might expect. For many runners and running-related professionals, video is key to “seeing” what a runner is doing, slow motion video is even better, and a full-fledged motion analysis in a lab, with sensors and multiple cameras, is the gold standard. However I’m trained in visual analysis of people who are physically present, and this is honestly difficult to translate to 2-dimensional video, even harder to translate to slow-motion video, and not even relevant to proper laboratory motion analysis. It’s not that you can’t get kinds of information from these tools that you can’t get from real-time use of highly trained eyeballs—after all, until Eadward Muybridge figured out how to make a camera fast enough, nobody even knew whether a horse had all four feet off the ground in a gallop. A camera is a powerful tool. However these tools cut out more information than they capture, and they change the nature of perception. I’m tempted to go much deeper here, but instead of digressing, let me just ask you: do you see a difference between Mo Farah and Kenenisa Bekele when you watch them on TV? Good. So do I. And even though I can’t see nearly as much as I’m trained to see when they’re on TV, I’ve gone back and forth between video and living flesh enough times in my work to be able to recognize patterns, make educated guesses, and give you a pretty good explanation for what both of us can see. TV footage is what we’ve got to work with. Let’s make the most of it, shall we?